I would like to thank the publishers for sending me a copy of this book in return for an honest review. Isabelle Broom is fast becoming one of my favourite authors, and after reading A Year and A Day last year, I couldn't wait to get my hands on Then. Now. Always. 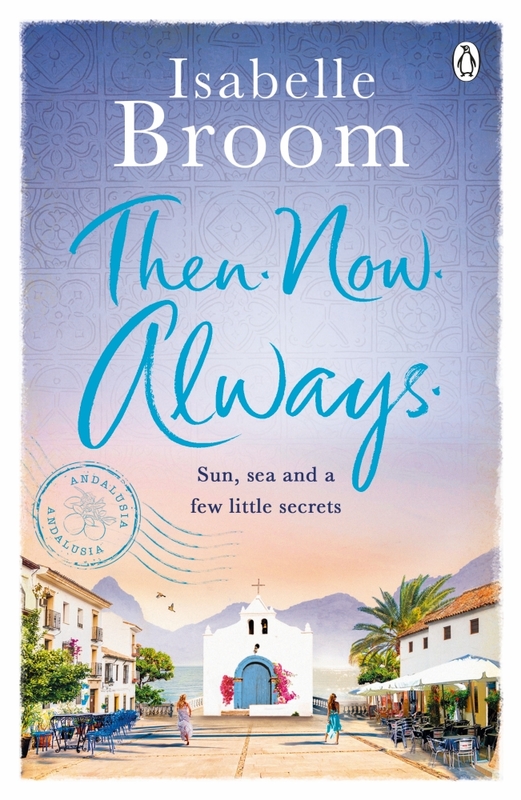 and I am glad to say that Hannah's story, that transports us to Andalusia, does not disappoint and shows exactly why Isabelle Broom has become such a popular author. Hannah Hodges is a researcher with a television company and is about to take off on her first working holiday to the beautiful Spanish village of Mojacar in Andalusia to assist in the making of a documentary with the company that she works for. Hannah throws herself into her work to try to take her mind off other things in her life, such as her hatred for her half sister, Nancy, and the strong feelings of anger that she holds for her father for leaving her mother before Hannah was two years old. Hannah has often travelled to Mojacar as a teenagers while om holiday with her best friend, Rachel, and her family. Mojacar has always held an air of magic and mystery for Hannah, and she is delighted to get the chance to return as an adult. She's even more delighted that she gets to go with Theo, her dishy boss, who Hannah is more than a little bit in love with, and one of her best friends, Tom. While making the documentary on the beautiful Spanish Village, Hannah finds out stories that she's never known about the place and meets people that will change her life forever. There is just something so enchanting about Isabelle Broom's books and this one is no different. She takes you away to amazing places, all while your sitting on your own sofa. This one was no different and sent me off the magical setting of Mojacar in Andalusia and had me ready to pack my bags and head off (if it wasn't for my exams) the minute I finished the book. With Isabelle Broom's novels, you don't just get to experience a brilliantly written story, but also learn secrets about the fabulous settings that she chooses to set the novels in. The beautiful, eyecatching cover of this novel was enough to make me want to retreat to the sofa and not move until the book was read from cover to cover. I know that you should never judge a book by its cover, but the cover of Then. Now. Always. is absolutely beautiful, with an amazing purple background, that just makes the book pop. If you look closely enough there are even gorgeous little drawings on the cover of items relating to the story, including the Indalo Man. The characters in Then. Now. Always. are superbly written, with each one adding that special sparkle to the story. Hannah is an instantly likable character and after spending four days with her while reading the book, she became like a friend by the time I had turned the last page. Tom and Theo also added well to the story line and I loved that both of these characters also added their own little sub plots, which complimented the main plot beautifully. Nancy and Claudette are also great characters and even though it took me a little bit longer to warm to these particular characters, by the time I put the book down for the final time, I had grown very fond of both characters. However, as good as the main characters are, I felt that it was Elaine, an expat that Hannah met and interviewed about her time in Mojacar that really stole the show for me. From the minute she was introduced to the story, she brought with her an air of mystery and I just knew that there was depth and meaning to her character. Each and everyone of the characters that came to life within the pages of this novel were authentic and believable, something that the author has a serious talent in doing. While Hannah's story did bring smiles and a lot of laughter to my life while I was reading this book, it wasn't without it's drama and sad moments. 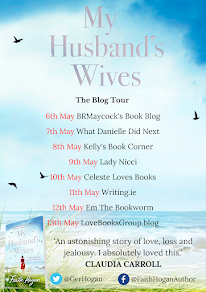 A good author will be able to make you laugh and cry and in that case, Isabelle Broom has proved herself as a great author, because there times throughout the book that she has me laughing and crying without ever having to turn the page, especially when it came to Elaine and her story. Then. Now. Always. is a fantastic read, that I can see doing really well this summer, while it accompanies many readers to their sun-loungers while on their holidays. This novel is slightly different to A Year and A Day because it doesn't have that sense of sadness to it, but rest assured that if you enjoyed A Year and A Day last year, that you will devour this novel too. Then. Now. Always. has given me back my reading mojo, when I was just about to give up on him, which shows just how much I enjoyed this book! 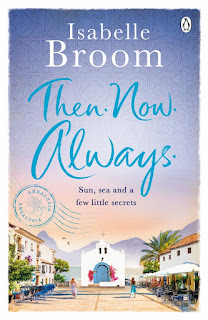 I really couldn't have enjoyed this book anymore if I tried and I am glad that I got to travel to Mojacar with Hannah and the rest of the gang, at a time in my life when I really needed some escapism. I can't recommend this book enough and I only hope that it gets all the of the praise that it deserves. Hats off to the author from producing another fantastic story.